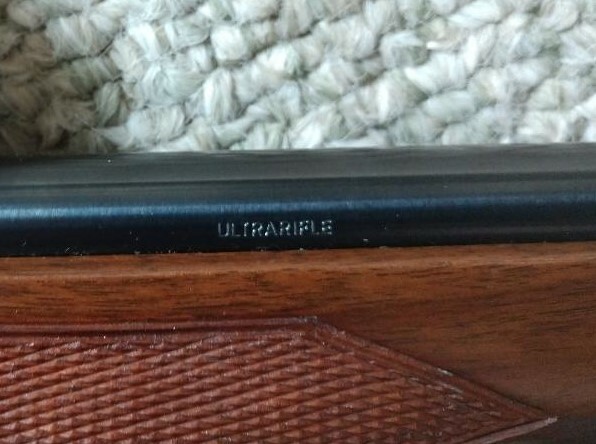 I believe that what I have is a 300 Ultra but cannot find the 300 on the rifle. Also would appreciate any help in identifying the exact action. And possibly a value. 308 caliber. Thanks in advance. 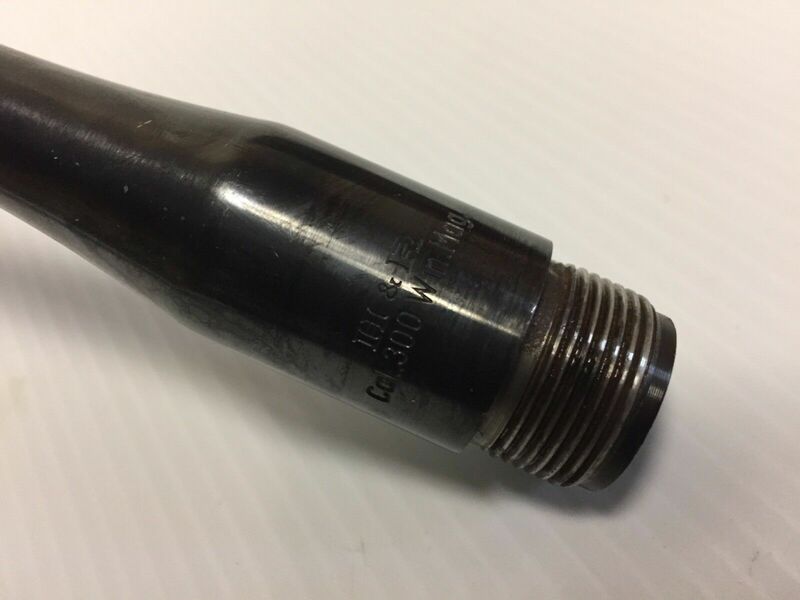 There is a H&R 300 win mag barrel for sale on the eBay. It is stamped 300 win mag on the barrel. It does have the stamp that says 308. My question is how do you tell that it's a model 300 Ultra. Check it against a known specimen . There are several previous discussions on the 300 Ultra with info. Received a message and link to show that it is a Sako action - one down. Can someone please advise on value? Trigger guard and bolt shroud sure look like Sako. 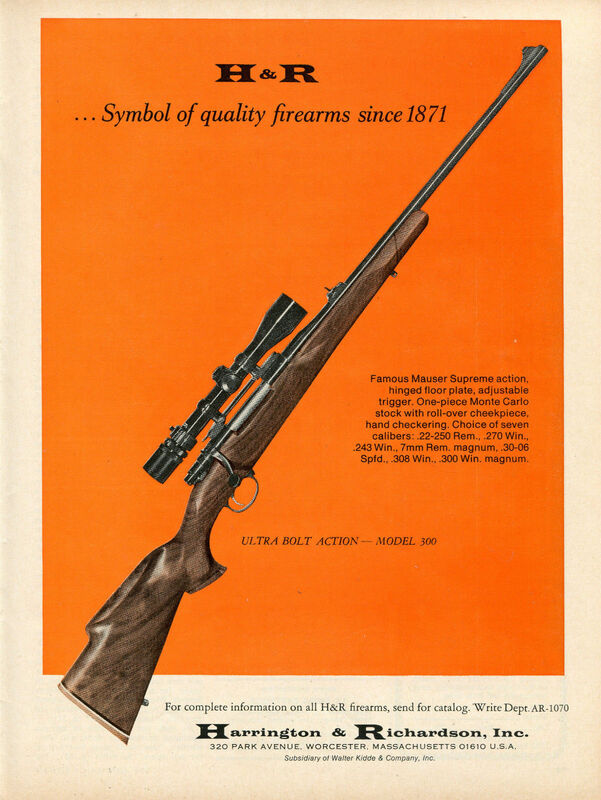 The orange flyer appears to show a commercial mauser action....FN, Husqvarna, Interams/Yugoslav, or Santa Barbara(Spanish). Actually thinking about selling this one and help on a value would be appreciated . 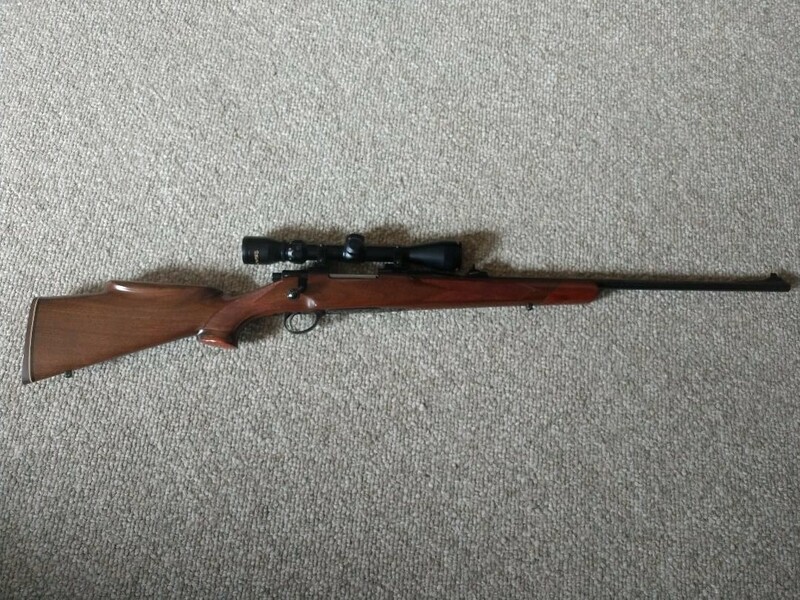 My new old vermin rifle!